There would have been very distinct descriptions of 虐 at the time. 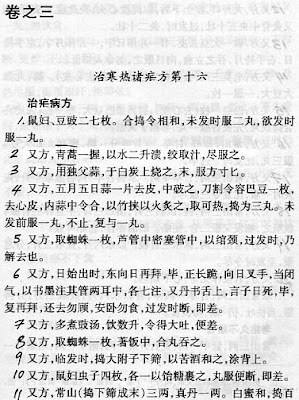 A good place to begin checking is the 諸病源候論, and of course the 千金要方. While these sources are a few hundred years later, they may well cite earlier texts closer to Ge's time. You also need to consider how big a "bunch" 握 is - is it a handful of leaves, or is it a bundle of full-length stems, complete with leaves? Second, does Ge Hong say fresh? What if the water is to reconstitute the dried plants and you squeeze the plant juice into the remaining water? Like decocting, but by hand instead of heat.